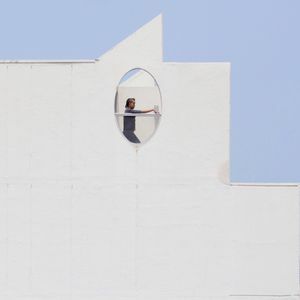 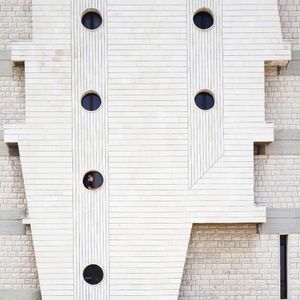 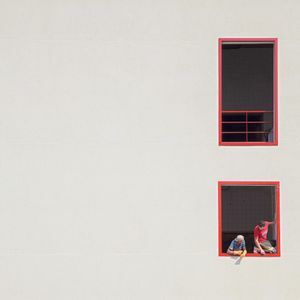 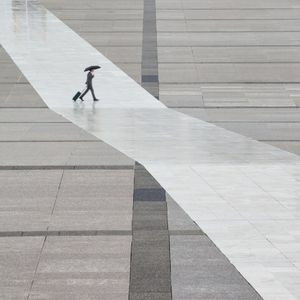 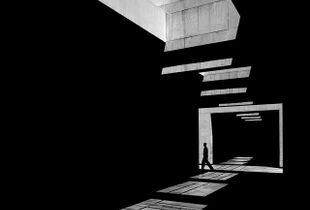 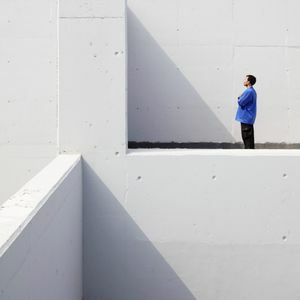 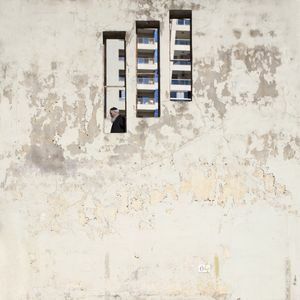 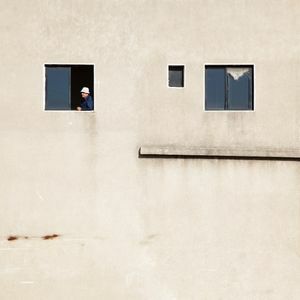 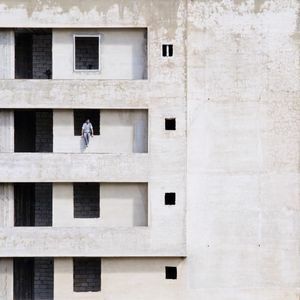 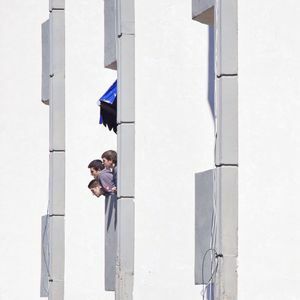 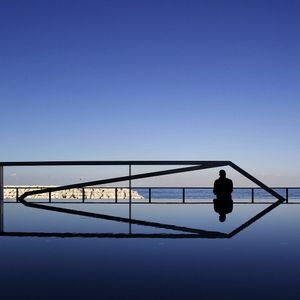 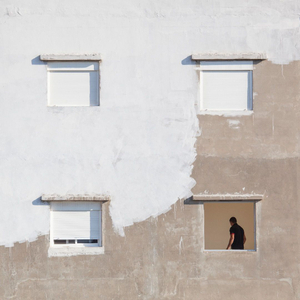 "Serge Najjar’s approach to photography is intuitive. 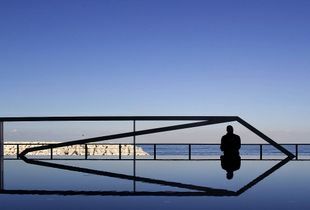 It derives from his passion for modern and contemporary art. 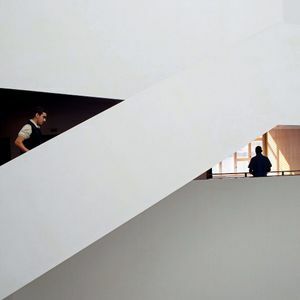 Kazimir Malevich’s “Architectons”, Josef Albers’ abstract compositions, Robert Mangold and Ellsworth Kelly, and also Aurélie Nemours, Frank Stella and Sol LeWitt are listed among his references. 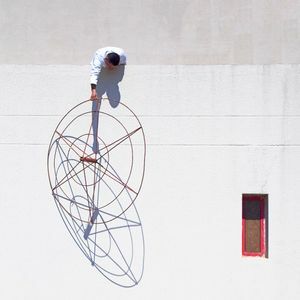 The graphic approach of the Russian Avant-garde and, specifically, Alexander Rodchenko catches Najjar’s interest early on his career: deciphering the image and its construction will come to guide the structure of his future endeavours. 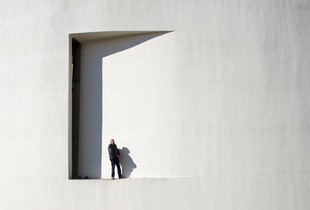 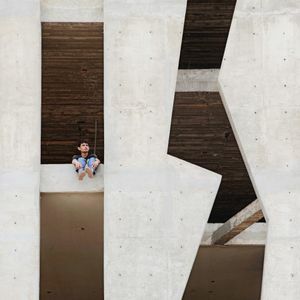 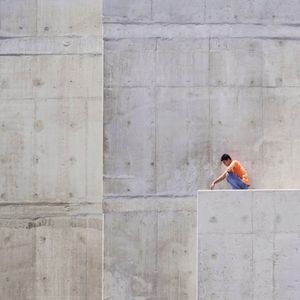 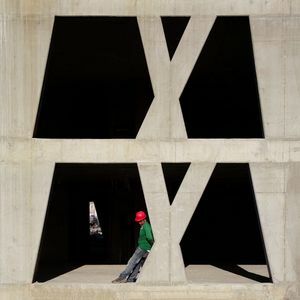 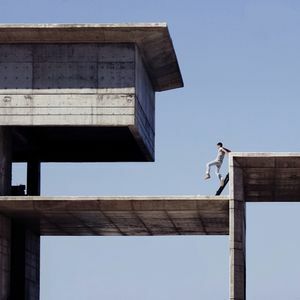 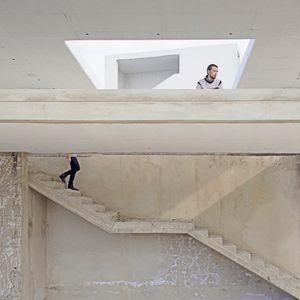 Serge Najjar’s pictures place the viewer within a world where reality and fantasy meet. 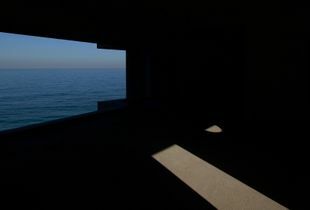 They capture the passing of time, or a space where the transient disposition of man would inhabit ideal radical constructions. 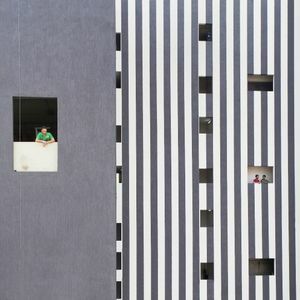 Motionless variations on a theme, the photographs engage in a dialogue, complete each other or not, but always create a singular space that is inhabited by the onlooker within the space they are presented in. 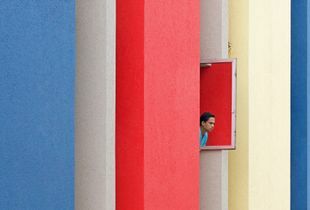 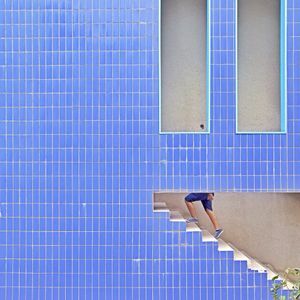 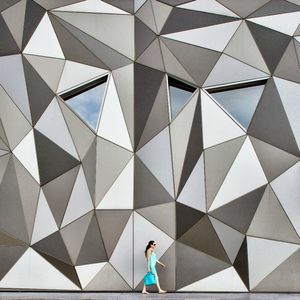 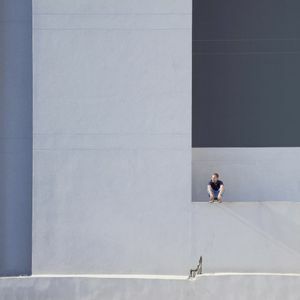 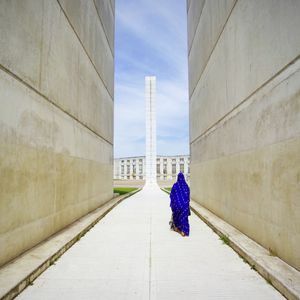 Always on foot across the city, the photographer tracks down architecture, surfaces and “ordinary” shapes which when seen from unusual angles appear as surreal figures. 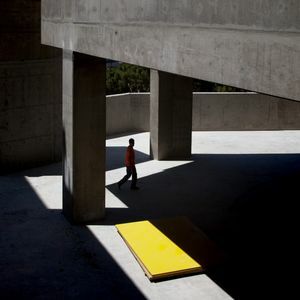 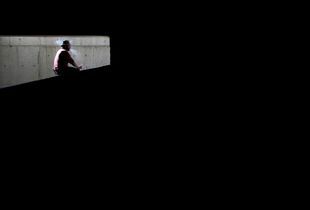 Shadow and light, passerby, subject, worker; thus architecture and man stay on the edge of abstraction. 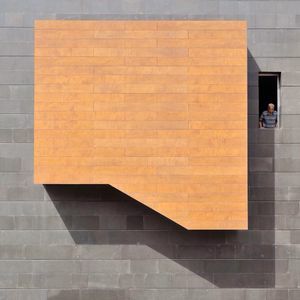 This is where we find the formal language of the photographer. 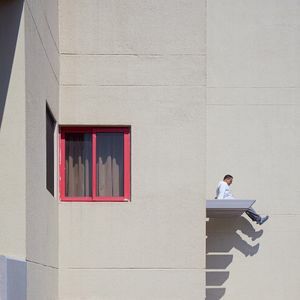 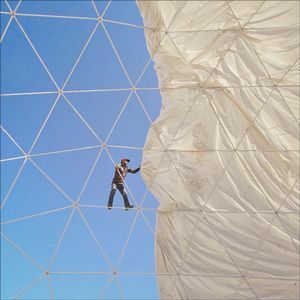 By appropriating the principles of capture of immediate reality, where direct photography is only possible thanks to the distance of the subject, and the photographer too. 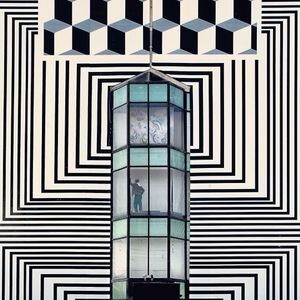 The concrete world of buildings and architecture are transformed by the photographer’s eye into swooping abstractions, playful scenes, moments of pure visual pleasure.